We take every care to ensure that the descriptions of the items we sell via northwoodhouse.org are correct at the time of publication. However, specifications and descriptions of items on this website are not intended to be binding and are intended only to give a general description. By placing an order with us you will be deemed to have read, understood and agreed to these Terms and Conditions. If you are unhappy with any aspect of these terms, then you should not place an order and should contact us in order that we can seek to resolve your concerns. By placing an order via this website you are making an offer to Northwood House Charitable Trust Company Ltd to purchase the items detailed in your order upon the terms described in your order. Once you have placed an order we will send you a confirmation that your order has been received but this is not a confirmation that your offer to purchase the goods has been accepted. A contract for the sale of our items will only exist once an order has been accepted, processed and dispatched to you. Your debit/credit card will be authorised and charged at point of sale. This does not affect your statutory rights. Prices and availability of goods are subject to change without notice. We do not guarantee the availability of any tickets, goods or permits which may from time to time be offered on our website. Non-receipt: Any claim for the non-receipt of items must be made in writing within a maximum of 14 days from the date of purchase. Claims made after this date will be accepted only at our discretion and we will be under no obligation to do so. Errors and omissions: Customers should check all tickets and permits immediately for shortages, or incorrect information. The buyer must inform us in writing, within 14 days of the date of delivery. Claims made after this date will be accepted only at our discretion and we will be under no obligation to do so. Claims for labour charges or consequent losses will not be accepted under any circumstances (of which, see further below). We are unable to supply items on a sale or return basis. We accept online payment through Payment provider Stripe Inc, who process transactions in a secure environment by Visa, MasterCard, Visa Debit and Visa Electron. All transactions are shown in pounds sterling (£). All prices quoted on this website are accurate at the time of publication and are quoted in pounds sterling (£) and where appropriate are inclusive of UK sales tax (VAT) at the then-prevailing rate. Payment in full is required before goods, tickets or permits will be despatched. Mainland UK and the Isle of Wight: Delivery charges for event tickets and parking permits by first class post is included in the ticket price. You may also pick up tickets in person from the Northwood House office during normal working hours. Terms of Delivery: We aim to dispatch items to UK addresses via Royal Mail first class within three working days of receipt of your order. From time to time, through circumstances beyond our control, this may not be possible. We will notify you of the delay and the reason for it. We cannot deliver to multiple addresses; if you wish to send different items to different addresses you must treat each address as a separate order. Subject to the following, if you wish to cancel your purchase for any reason you can do so up within 14 calendar days of receiving your tickets, permit or goods. This is referred to as your cooling off period. 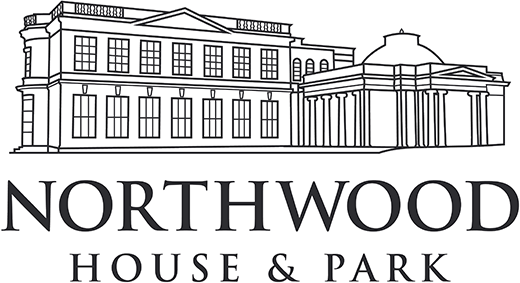 If you wish to cancel or return your purchase, you must notify us within the cooling off period and this must be in writing: by letter or email to administrator@northwoodhouse.org. You will need to complete and sign our NWH Cancellation Form. This must be returned to us with the tickets, permit or goods that you wish to return. We will make a refund within 14 days of receipt of both the returned goods, tickets or permit, together with a completed Cancellation Form. Customers who have paid by credit or debit card will have the same card credited. We will not make refunds to a third party or issue cash or credit notes in lieu. We do not operate an exchange policy. Membership of the Company is non-refundable. Parking or other permits will be refunded pro-rata for each complete month of validity remaining. Due to the need to provide caterers and other suppliers with information as to attendance, refunds will not be made for event tickets unless the claim for a refund is made more than 7 days before the event in question. By using this website and/or making an order, you agree that the law of England and Wales applies to govern the relationship between us and that the Courts of those countries shall have exclusive jurisdiction in relation to any dispute between us. Where you allege that as a result, a business, limited liability company or other legal person has suffered loss (including but not limited to loss of income, profit or savings) and whether said to arise from loss of contract(s), business opportunity, loss of standing, reputation or goodwill, or loss of information or data (whether involving a partial or total loss, corruption or damage of or to that data). Please note that these limitations of liability will apply even where you have advised us of the potential loss in advance. Our subsequent acceptance of your order or booking will not be construed as a waiver of this stipulation. We do not seek to exclude or limit any warranty implied by law where it is not lawful to exclude or limit that liability. Specifically, nothing in this website disclaimer is intended to be construed as excluding or limiting our liability in respect of any of the following: death or personal injury caused by our negligence; fraud and/or fraudulent misrepresentation on our part or that of our servants or agents for whom we are vicariously liable. Should any provision of this website disclaimer be, or is found to be, unenforceable under then applicable law and/or deemed to be incapable of reliance upon by us (whether by operation of law of Order of the Court), the remainder of the website disclaimer will continue to be in force and effective as between us. In continuing to use this website (and in proceeding to make a purchase or order), you are providing us with your confirmation that the exclusions and limitations of liability set out in this website disclaimer are in your view reasonable and are accepted by you. If you are unwilling to provide us with this agreement, you should not continue to use the website or make a booking. You, the buyer, warrant that all details provided on the order form for the purpose of purchasing the items are correct, that the debit/credit card you are using is your own and that there are sufficient funds and/or sufficient unused limit available to cover the cost of your purchases.